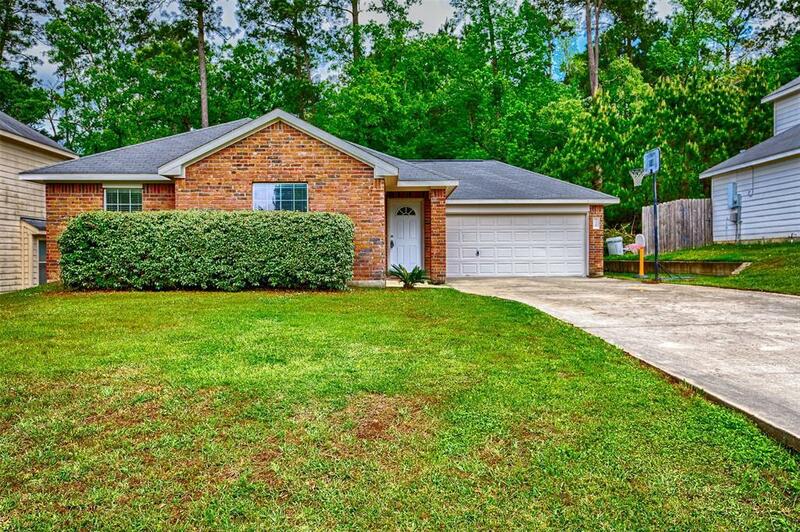 PRETTY ONE STORY, FOUR BEDROOM HOME JUST UPDATED! Interior freshly painted in warm neutral color. 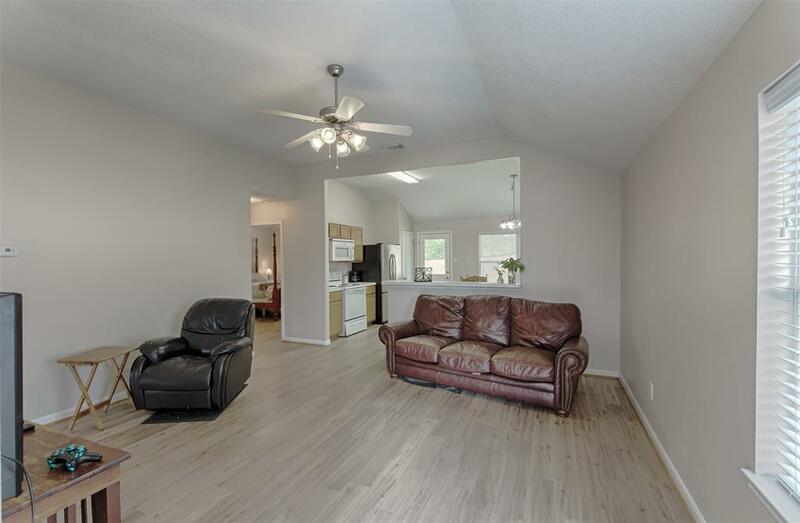 Beautiful new laminate flooring throughout--no capret anywhere! Open floor plan with huge living area and high ceilings. Roomy kitchen / dining combo, with breakfast bar and plenty of cabinet / pantry space. Dining area has large windows overlooking privacy fenced back yard, and forested land behind the home. No back yard neighbors! 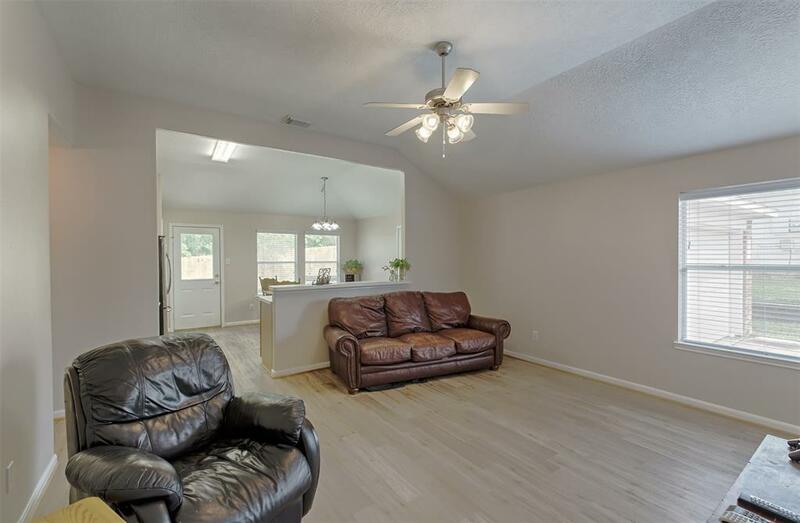 Spacious master suite with vaulted ceiling, large closet, and ceiling fan. Bedrooms are a split plan, with the three large secondary bedrooms and bathroom at the opposite end of the home. 2 inch blinds throughout. Low tax rate and HOA fees! Enjoy the neighborhood park. 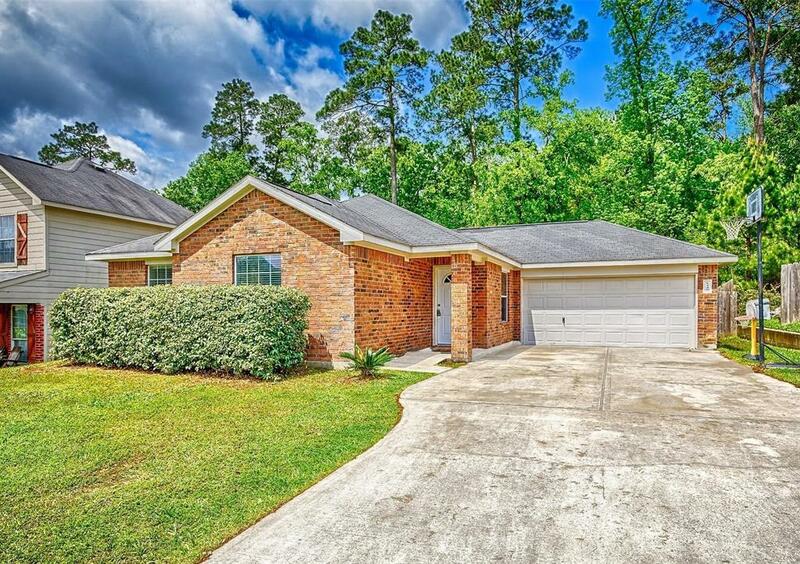 Great location, with easy access to schools, shopping, I-45, Lake Conroe & Sam Houston University.